b. 25 Oct. 1759, 3rd s. of George Grenville, and bro. of George and Thomas Grenville. educ. Eton 1770-6; Ch. Ch. Oxf. 1776-80; L. Inn. 1780. m. 18 July 1792, Anne, da. of Thomas Pitt, 1st Baron Camelford, s.p. cr. Baron Grenville 25 Nov. 1790. P.C. [I] 15 Sept 1782; chief sec. to ld. lt. [I] Sept. 1782-June 1783; P.C. 31 Dec. 1783; paymaster gen. Jan.-Mar. 1784, jt. paymaster gen. Mar. 1784-Sept. 1789; member of Board of Trade Mar. 1784-Aug. 1789, vice-pres. 1786-9; member of Board of Control Sept. 1784-Mar. 1790, pres. Mar. 1790-June 1793; Speaker of the House of Commons Jan.-June 1789; Home sec. June 1789-June 1791, foreign sec. 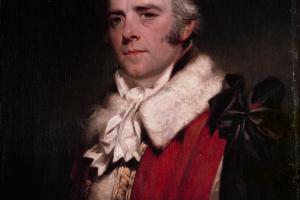 June 1791-Feb. 1801; auditor of the Exchequer 1794- d.; first ld. of Treasury Feb. 1806-Mar. 1807. And on the 24th about Shelburne: ‘Is it not inconceivable that a man will hazard so much ... without its being possible for one to discover any one object under heaven which he is to gain by the delay?’ During this period his only two reported speeches in the House were on Irish affairs. On 21 Jan. 1783 he at length felt able to report to Temple that ‘considering all the circumstances ... the whole has not gone off ill’. I own I cannot think it so bad, all things considered ... and I see no reason for being at all confident that another campaign would have put us in a better situation to negotiate. In this line, I had intended to have stated my ideas on the day of debate in the House of Commons; but I am deterred by reading your opinions, and by a fear ... that you will take an active part the other way ... If it had not been for this, I think it would have had a handsome appearance in the hour of their distress. Instead, in reply to a request from Pitt to move an address of approbation, he hedged: while he preferred ‘such a peace to such a war’ and felt ‘obliged to that Government, who have, at any rate, put a stop to the progression of evil’, it was ‘still too humiliating to Great Britain to admit of very sanguine expressions of exultation’, and he was very hesitant about moving such an address.3 In the end he avoided doing so, though he voted with Administration on the preliminaries, 18 Feb.
even if equal in other respects, which I very unaffectedly know I am not, still I am much too young, and too little versed in the navigation of that tempestuous sea to venture out in such a hurricane as this. that those who act with us should hold themselves apart from such government, in order that he may have something else to look to whenever circumstances allow of it ... our ground I think clear—honourable to ourselves, consistent with our principles and professions, and holding out to us the fairest prospects of honest ambition. I am so much pleased with my present situation [he wrote to his brother, 12 Dec. 1786] that I am unwilling to quit it so soon ... I shall, I am confident in the next session, by the help of my present situation, be able to put myself much more forward in the House than I have hitherto done, which appears to me a great object to attain previous to accepting of what, after all, I fear, will wear the appearance of putting myself hors de combat. I am not in the same mind about it for any ten minutes together. but I must confess my mind has never gone to it at all. The situation would unquestionably have been highly flattering to me at my time of life ... But ... I think it is not prudent for a person who has already been put forward beyond what many people think his pretensions entitle him to and who has still much way to make for himself, to incur the risk of shocking and revolting the feelings of almost everyone ... Besides I am unwilling—after having been endeavouring for four or five years to qualify myself, in some degree for almost any other line of public service—that my first ostensible debut should be in one where I should have the first ABC to learn. He hoped eventually to obtain the Home Office, and had mentioned it to Pitt, who had replied he was unwilling to move Lord Sydney abruptly without being able to compensate him, ‘but that, whenever any such opportunity offered, he should willingly and eagerly embrace it ... I am by no means desirous that the interval should be so much shortened as to make the appointment immediate. I am in the train of making myself fitter for it.’ In the meanwhile Grenville hoped to obtain a reasonable sinecure post, and finding difficulties in securing a life grant of the master of the rolls in Ireland, finally settled for the reversion of the office of chief remembrancer. On 23 June 1788, reporting changes in Administration to his brother, he wrote: ‘For my own part ... the circumstances of my present situation in almost every point of view, particularly the confidence with which I am treated, leave me very little to look to, or to hope for, from any change that can arise.’ But in January 1789, on the death of the Speaker at the height of the Regency crisis, Grenville agreed to take his place. Upon the whole, I think the decision I have made is clearly right [he wrote to Buckingham, 2 Jan.]. If the King recovers before Parliament is dissolved, it is clearly understood that my acceptance of this situation is not to prejudice my other views ... If the Regent goes on without dissolving, I am then in a situation which, though perhaps not perfectly pleasant, is nevertheless respectable, and will give me occupation. If they dissolve and carry the Chair against me in the new Parliament I do not see how I stand worse, in any respect, for having held this office. He was elected on 5 Jan. on a party vote. 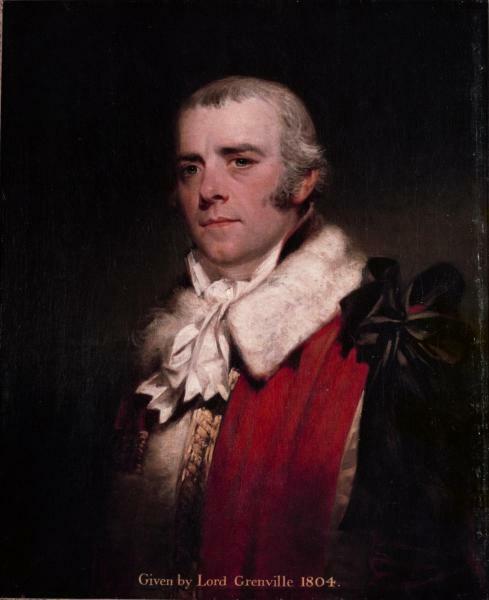 On the 16th he made a long speech in committee supporting Pitt’s Regency proposals. Less than six months later he resigned from the Speakership, having at last obtained the office of Home secretary; the following year he went to the Lords, and as Lord Grenville achieved the highest office. it was not merely the result of his ambition, but his amusement; the flowers of imagination, or the gaieties of society never seduced him astray. There was nothing to dissipate his ideas, and he brought his mind to bear on the subjects before him with its full force. 1. Auckland Corresp. i. 336. 2. Letters from Grenville to Temple quoted in this biography, unless otherwise stated, are in Buckingham, Courts Cabinets of Geo. III. 3. HMC Fortescue, i. 193-4. 7. HMC Fortescue, iii. 429.